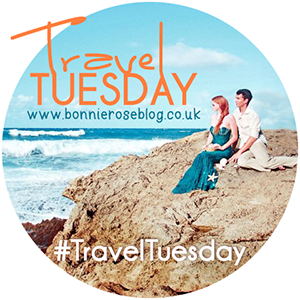 Let’s hear it for the first Travel Tuesday of 2015!! I feel like I’ve been so all over the board these last few weeks (along with just about everyone else) that it feels good to be finding a routine again (smile). In lieu of making vague resolutions for the new year, I’ve tried to focus more on specifics (so maybe that’s my overarching theme? ), including where I want to go and what/who I want to see this year. South Dakota: Our latest project at work is based in Wyoming – tantalizingly close to the South Dakota border. Now why am I so excited about this? Because I have been oddly obsessed with seeing Mt. Rushmore for as long as I can remember! SO looking forward to checking this one off my bucket list! I’ve tentatively picked the when – October – but not the where. I have a couple of places in mind, but the final decision hinges on a few other factors. No matter where I end up, I know this journey is going to be epic! That’s really exciting you are going to embark on a solo adventure this year! Solo travel is such a rush. You’ll not only survive solo travel I bet you’ll love it! You can do whatever you want, whenever you want, and I find I really experience the place more because I am more focused on paying attention to what is going on around me more, rather than talking to the person or people I’m with. I can’t wait to see where you decide to go! Unfortunately I had a really scary (in terms of personal safety) trek through S. America that I’m apparently still not completely over. It’s funny how those things really stick with you. So I’m guessing I won’t be going too exotic my first time out. At least it’s a step in the right direction! Hello! I’m hopping over from the Travel Tuesday link-up 🙂 Your plans to travel in the US sound great! I’ve only been to New Orleans once, in middle school, and I would love to experience it again as an adult. And I love the idea of doing a solo trip. That’s something I haven’t done either. I’ve at times gone with my hubby on his business travel and explored cities by myself by day, but it’s never been a completely solo trip. I’ve heard great things about traveling solo – enjoy it! Stopping by to say “Hi” from Travel Tuesday! Looks like you have some great domestic trips planned and can’t wait to see where you go internationally!